Tagbilaran is the capital city of the island province of Bohol in the Philippines. With close to 100,000 residents it is the main point of entry to Bohol and serves as the province's political, social and economic center. Besides, it's known as the "City of Friendship" and was recognized as one of the most liveable cities in the Philippines by the Asian Institute of Management in 2005 and 2007. Despite being the capital of Bohol, and despite its relative size, Tagbilaran does not feel like a big city. In some respects the city feels more like a provincial town rather than the bustling capital city of one of the Philippines' best-known provinces, and rightfully so. Few establishments are open 24 hours, many stores are closed on Sunday, traffic is almost non-existent, and Tagbilaranons (as local residents are called) seem to be more relaxed than their counterparts in larger cities. However, this atmosphere does yield several positives: locals are very friendly, the city is very safe, and as the introduction of most tourists to Bohol, Tagbilaran gives a good picture of what one can expect from the rest of the province. Little is known about the pre-history of Tagbilaran, although it is believed to have been a trading outpost where, according to Spanish accounts, the natives conducted trade with China, the Malay states and present-day Indonesia. It is said that around the year 1200, the Lutaos of northern Mindanao established settlements on stilts along the Tagbilaran Strait, separating mainland Bohol from Panglao Island (which today separates Tagbilaran from Dauis), which later became the Kingdom of Dapitan, a prosperous local center of power. It is believed that these settlements were abandoned by 1563 due to attacks by the Portuguese and their allies from Ternate. Another kingdom, the Bool Kingdom, may have also existed within city limits in the 15th century. Tagbilaran used to be part of neighboring Baclayon, and its parish church was one of the six churches of Bohol established by the Jesuits when they came to the island in 1595 to evangelize and convert the natives to Christianity. The town was later split from Baclayon in 1742, when Father Cesar Felipe Doria, Rector of the Jesuits in Bohol, petitioned for the creation of a new town as he believed Baclayon became too large to be administered by a single priest, and the town was dedicated to Saint Joseph the Worker, hence the town was originally called San José de Tagbilaran. It later became the capital of Bohol in 1854, after the island was made a separate province from neighboring Cebu. The town grew throughout the Spanish and American regimes, and on 1 July 1966, Tagbilaran was elevated to a city by virtue of Republic Act No. 4660. Tagbilaran is divided into 15 barangays, which are commonly referred to as "districts". Most economic activity is concentrated in the city center, which consists of Poblacion I, II, III and Cogon (immediately north of Poblacion II). The city's remaining 11 barangays are more rural and more closely resemble neighboring towns, although they become more urbanized approaching the city center. The main language of Tagbilaran, like the rest of Bohol, is Boholano, a dialect of Cebuano which differs from standard Cebuano largely in terms of pronunciation. These differences sometimes have linguists describe Boholano as a separate language altogether. Despite this, standard Cebuano is understood by Boholano speakers, as it is the language used in Cebuano-language mass media, and Boholano as spoken in Tagbilaran is closer to standard Cebuano than the Boholano spoken further inland. English is also well-understood by most city residents, although Tagbilaranons speak it to varying levels of fluency. Unlike in neighboring Cebu, Tagbilaranons (and Boholanos in general) are less hesitant to speak Filipino, especially owing to the influx of local tourists from non-Cebuano speaking regions of the Philippines. Many Boholanos will know how to speak Filipino as Filipino language instruction is required in school, and they will normally respond in Filipino when spoken to in Filipino, though some will respond instead in English (as in Cebu). However, it is not uncommon for a Tagbilaranon to ask a Filipino speaker if one is new to the city, as speaking in Filipino is often (though not always) an indicator of not being resident in Tagbilaran. Since November 2018, Tagbilaran has been served by the Bohol–Panglao International Airport, the only airport in Bohol with commercial service. The old Tagbilaran Airport in downtown Tagbilaran is closed. Air Juan, Cebu Pacific, Philippine Airlines and Philippines AirAsia all have service to Panglao. While most flights serving the city are headed to Manila, in the last couple of years there has been a boom in air service to the city, and it is now possible to fly from Boracay, Cagayan de Oro, Cebu City and Davao, with upcoming service to Angeles. International service was also introduced, with Philippine Airlines flying to Seoul twice weekly. An alternative to flying is to fly to Cebu Airport, then go to Tagbilaran by boat. Ground Transportation. Buses connect the airport with the Tagbilaran City Integrated Bus Terminal (Island City Mall) via Alona Beach and downtown Panglao, operated by Southern Star Transit, with service every 45 minutes from 5:45AM until 6PM. About ₱50. There are boats goint to neighboring islands in the Visayas, as well as to Luzon and Mindanao. Two types of ships transport passengers to Tagbilaran: fast ferries (catamarans) and regular ferries. Fares on regular ferries are cheaper than with fast ferries, although the travel times are longer (for instance, the regular ferry to Cebu takes five hours versus two hours with a fast ferry). Three companies provide fast ferry service. Fares are normally around ₱400-500 one-way, with all three companies offering promotions for buying tickets early. For example, a round-trip ticket between Cebu and Tagbilaran bought at least two days in advance on Weesam express is ₱500, inclusive of passenger service charges. Sunday ferries from Tagbilaran to Cebu are often fully booked, so book ahead or use the port in Tubigon, if leaving on a Sunday. 2GO Travel (formerly SuperCat) has three trips daily between Tagbilaran and Cebu City. Ferries leave from Pier 4 at the Cebu International Port for Tagbilaran at 9:15AM, 1:35PM and 6:05PM and return to Cebu from Tagbilaran at 7AM, 11:25AM and 3:55PM. OceanJet has the most services to Tagbilaran, with six daily trips to Cebu, and two to Dumaguete which then travel on to Siquijor. From Cebu, ferries leave from Pier 1 at the Cebu International Port for Tagbilaran at 6AM, 9:20AM, 11:30AM, 2PM, 3:35PM and 6:35PM and return to Cebu from Tagbilaran at 7:05AM, 9:20AM, 11:40AM, 1:30PM, 4:20PM and 6PM. From Siquijor, ferries leave for Tagbilaran at 6AM, 11:20AM returning to Siquijor from Tagbilaran (via Dumaguete) at 6AM, 3PM. This ferry leaves Dumaguete for Tagbilaran at 6AM and 3PM. Tagbilaran to Dumaguete cost ₱700. if you buy a Libre Balik Promo ticket from Tagbilaran to Cebu city (valid 6 days) you pay only ₱600 return. Weesam Express has three daily trips between Tagbilaran and Cebu. Ferries leave from Pier 4 at the Cebu International Port for Tagbilaran at 9AM, 2PM and 6:30PM, returning to Cebu from Tagbilaran at 7AM, 11:20AM and 4:30PM. There are two ferry companies with boats to Cebu City: Lite Shipping and Trans Asia Shipping. Fares are ₱250 for regular seats (open-air), ₱275 for a Lying (bed) and for Tourist class A/C lying (bed) it is ₱375. Lite Shipping Corporation has two daily services, leaving Cebu at 12:30PM and 10PM, returning to Cebu from Tagbilaran at noon and 10:30PM. Trans Asia has a sale fare of ₱175 from Cebu to Tagbilaran every Monday at noon. and a sale fare of ₱240 from Tagbilaran to Cebu every Sunday at 10PM. Lite Shipping has a ferry 3 times a week Mon/Wed/Sat at 8pm from Tagbilaran to Plaridel via Larena Siquijor.the fare from Tagbilaran to Larena is ₱225. Lite Shipping has a ferry from Tagbilaran to Argao on Cebu island twice a day 8AM and 4PM (from Argao you can get a bus to Dumaguete). Trans Asia has a ferry 3 times a week from Tagbilaran to Cagayan de Oro; fares from ₱670 each way. Most buses serving Tagbilaran from other towns in Bohol, as well as all buses from other cities in the Philippines, terminate at the 9.6564243123.869292 Tagbilaran City Integrated Bus Terminal (IBT), Alfonso L. Uy St, Dao (in the northern outskirts of the city, beside the Island City Mall). 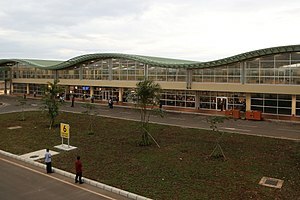 The relatively spartan structure also houses the terminal for vans serving the rest of Bohol: vans are located to the left of the entrance, while buses are located to the right. The main roads into Tagbilaran are the two halves of the circumferential road circling the island of Bohol which emanate from the city center: the Tagbilaran North Road and the Tagbilaran East Road. In the city center, both roads are known as Carlos P. Garcia Avenue (popularly shortened to "CPG Avenue") and Venancio P. Inting Avenue, respectively. Another major road into Tagbilaran is the Tagbilaran-Corella-Sikatuna-Loboc Road, connecting the city to Loboc and the interior towns of Bohol via Corella. With over 3,000 of them throughout the city, tricycles are the main form of public transportation in Tagbilaran, and can be hailed from any part of the city. They can normally seat up to two people (three if the "seat" behind the driver is counted), with a small luggage space provided on the back. Fares vary according to distance (regular fare: ₱8/person), with drivers charging more to reach Island City Mall and Tagbilaran City Integrated Bus Terminal, the airport, the seaport, or destinations beyond city limits. Tricycles may also be chartered as well for day tours of the city and surrounding towns. Airport to the Island City Mall and bus terminal is ₱20 per person with two or three people required. Aside from tricycles, jeepneys are the other main form of transport in Tagbilaran, with many routes converging at the Island City Mall and the Tagbilaran City Integrated Bus Terminal. Some routes, particularly to the northwestern part of the city and to Panglao Island, also converge at points within the city center, such as Tagbilaran City Square. Jeepneys may either ply routes within the city, or may go to surrounding towns. The fare is ₱8 for the first 4 km (2.5 mi) (which covers most of the city area), plus ₱1 for every additional km beyond that. Buses which serve the rest of Bohol also stop at points within Tagbilaran, although they do not go through the city center. Buses are useful mostly for heading towards the Tagbilaran City Integrated Bus Terminal, where it is possible to transfer to tricycles and jeepneys serving the rest of the city. There are white taxis in the city, though they are not plentiful and they are mostly found at the airport, seaport and major malls. Taxi rates are the same as in major urban centers such as Manila and Cebu: taxis in Tagbilaran charge a ₱40 flagdown rate, plus ₱3.50 for every additional 300 m. It is not uncommon however to negotiate rates when going outside the city, especially to Panglao, as the taxi driver has to drive back to Tagbilaran without passengers. Tagbilaran is small enough that the city center can be covered adequately on foot. However, as is the case with the rest of the Philippines, sidewalks are few and far between, except along major roads such as Carlos P. Garcia Avenue. Tagbilaran is often perceived as a city with nothing to see, and tourists often skip the city in favor of better-known sites in other parts of Bohol. However, contrary to popular belief, the city does have a number of unique sites. 9.64136123.857951 Carlos P. Garcia House, A. Hontanosas cor. F. Rocha Sts., Poblacion II. The residence of the former Philippine President and his family in Tagbilaran, it has been converted into a museum featuring presidential memorabilia. Much of the house's original furniture has also been preserved, including the former President's bed and work desk. While admission is free, a donation box is set up by the entrance. Free. 9.6378123.85572 Casa Rocha-Suarez Heritage Center, 3 A. Torralba Street, Poblacion II, ☎ +63 920 950 3799. Built sometime between 1800 and 1830, it is one of the oldest standing structures in Tagbilaran, and one of the few remaining trading villas in Bohol. Owned by the Rocha-Suarez family, it was converted into a museum in 2005, with several of the family's furniture, heirlooms, personal effects and mementos, accumulated over five generations, on display. 9.64057123.856273 National Museum of the Philippines, Bohol Branch (Bohol Museum), Carlos P. Garcia Avenue, Poblacion II (beside the Provincial Capitol of Bohol). Tu-Su 9AM-5PM. It was the Escuela La Niña, and then becsme the Provincial Library of Bohol. The museum was opened in July 2008 after moving from the Carlos P. Garcia House. The museum has exhibits on the wildlife, traditions and culture of Bohol, the island's geological history, as well as a room featuring paintings from students throughout the province. ₱10. 9.63981123.85634 Plaza Rizal, Carlos P. Garcia Avenue, Poblacion II (in front of the National Museum and the Provincial Capitol of Bohol). Formerly the Plaza del Principe, it is the traditional center of the city. A monument to José Rizal stands in the center, while a monument to Carlos P. Garcia stands to the east. A replica of the Chocolate Hills is located to the west beside the Rizal monument. President Carlos P. Garcia Memorial Park, Tagbilaran North Road, Booy (across from the Bohol Wisdom School). The largest park in the city, it fronts the site of the future new Provincial Capitol of Bohol. A large monument to Carlos P. Garcia is located in the park's center. Site of the Blood Compact, Tagbilaran East Road, Bool (across from Bool Elementary School). One of the city's most famous tourist attractions. This is a sculpture commemorating the Sandugo (blood compact) made between Datu Sikatuna and Miguel Lopez de Legazpi in 1565, with a wonderful view of the Bohol Sea and coastal mangroves. 100 m to the east is a marker erected by the now-National Historical Commission of the Philippines in 1941 for the same event. 9.63932123.85585 St. Joseph the Worker Cathedral (Tagbilaran Church), Sarmiento Street, Poblacion II (opposite Plaza Rizal). The seat of the Diocese of Tagbilaran, it is one of the six original churches of Bohol established by the Jesuits in 1595. The current church structure however dates back to the mid-1800s, after the original church burned down. A tiny town 10 km (6.2 mi) away from Tagbilaran, the main attraction of which is the Tarsier Visitors Center, 3 km (1.9 mi) out of town. The town has no place to eat, or to sleep. Getting there: jeepneys and buses are available at Tagbilaran's main bus terminal, fares are ₱20 and the ride is around 40 minutes. Taxis are faster, but more expensive, with prices about several hundreds of pesos. However, the center of Corella is located in the forest and there are no taxis or tricycles anywhere in sight, passing jeepneys and buses can take you to nearby destinations, such as Tagbilaran or Loboc. Tagbilaran celebrates three major festivals. The Ubi Festival is celebrated every January in honor of Bohol's most famous agricultural export, ubi (purple yam). With most celebrations taking place in Plaza Rizal, there are exhibits featuring sustainable agriculture and the plant's uses, a contest for the best ubi specimen and upcoming products, as well as a motorcade through the city. The Tagbilaran City Fiesta is the city's official fiesta, celebrated every May in honor of the city's patron saint, Saint Joseph the Worker, whose feast day is on 1 May. This fiesta also opens Bohol's "Month of Fiestas", as every town in Bohol has a May fiesta. Nightly activities are held in the nine days leading to the fiesta itself, such as the Mutya ng Tagbilaran beauty pageant, stage productions and concerts. On the day itself, motorcades and a street dancing festival take place in the city center. The Sandugo Festival is Tagbilaran's major festival, and it is celebrated every July to commemorate the blood compact made between Rajah Sikatuna and Miguel López de Legazpi, often coinciding with the charter anniversary of the city. Highlights include a re-enactment of the Sandugo, a street dancing festival through the city center, and the Miss Bohol Sandugo beauty pageant. There are five malls in Tagbilaran, three of which are in the city center. 9.64198123.855051 BQ Mall (Bohol Quality Mall), Carlos P. Garcia Avenue, Poblacion II. Daily 8:30AM-8PM. This four-storey building has a movie theater, a BQ supermarket, several stores, and its own small department store with a large souvenir section. Island City Mall, Rajah Sikatuna Avenue, Dampas (beside the Tagbilaran Public Market and the Tagbilaran City Integrated Bus Terminal). Daily 8AM-9PM. The largest mall in the city, it has several shops, a movie theater, a department store and a large Alturas supermarket. The mall is also the terminus for a number of jeepney routes within the city and to neighboring towns. 9.64229123.856022 Tagbilaran City Square, Carlos P. Garcia Avenue, Poblacion II (across from BQ Mall). 9AM-8PM daily. The smallest of the city's malls, it promotes itself as Tagbilaran's version of the Greenhills Shopping Center in Manila. It is built on the site of the old Tagbilaran Public Market, which moved to the city's northern outskirts beside the Island City Mall. The two-storey mall has several computer and mobile phone stores, and wholesale products on the second floor. Aside from the standard Philippine chain restaurants Tagbilaran also has a number of unique places to eat. Chicken Ati-Atihan, Ma. Clara Wharf Road, Cogon (up the street from the Tagbilaran City Tourist Pier), ☎ +63 38 507-9963. The main competitor to Jo's Chicken Inatô, this open-air restaurant serves Filipino dishes alongside its special grilled chicken. ₱80-250 on average. Garden Café, Juan S. Torralba Avenue, Poblacion II (beside the St. Joseph the Worker Cathedral), ☎ +63 38 411-3701. This restaurant is owned and operated by the Philippine chapter of the International Deaf Education Association (IDEA), and true to its ownership, most of the employees are members of the local deaf community. JERAC's Pizza, G/F Gallares Court, Graham Ave. cor. Ma. Clara Wharf Rd., Cogon (beside the entrance to the Tagbilaran City Tourist Pier), ☎ +63 38 501-8383. Daily 10AM-11PM. This pizzeria is home to Tagbilaran's largest pizza, measuring 22 inches (around ₱600). JJ's Seafood Village (JJ's Seaside Restaurant), Knights of Columbus Drive, Poblacion II (beside the Knights of Columbus Wharf), ☎ +63 38 412-3756. Located along the shores of Tagbilaran Bay, this restaurant specializes in several cuisines, though true to its name, it serves many seafood dishes. The "village" also has conference facilities, a pool and a small hotel inside (₱850 for a double room). Jo's Chicken Inatô (Payag Restaurant), Carlos P. Garcia East Ave. cor. S. Matig-a St., Poblacion I, ☎ +63 38 501-7582. This restaurant specializes in chicken inatô, the Cebuano version of the more-well known chicken inasal found on Negros. They also serve Boholano versions of Cebuano delicacies, such as binakhaw (local kinilaw, or vinegared fish), as well as standard Filipino fare. ₱100-300. Shiang MaNou (香滿樓; Xiāngmǎnlóu), J. Borja cor. C. Gallares Sts., Poblacion II, ☎ +63 38 411-4373. Serving mostly traditional Cantonese dishes, this is one of two upscale Chinese restaurants in the city. It however also has a selection of budget meals for ₱75. ₱150-500. Sweet Home Café, J. Borja cor. Remolador Sts., Poblacion II (across from the Holy Spirit School), ☎ +63 932 327-3154. Daily 7AM-midnight. This quiet café is tucked away from the main downtown area. They serve coffee shop staples (i.e. cakes and pastries), and mains. ₱150-300 on average. There are a number of nightlife spots in Tagbilaran, although they're not as plentiful as in neighboring Panglao. For example, while there is only one nightclub, there are music and karaoke bars scattered throughout the city. Club Sphere, Carlos P. Garcia Avenue, Poblacion II (on the ground floor of the Metrocentre Hotel and Convention Center). Daily 9PM-5AM. Run by the Metrocentre Hotel and Convention Centre, it is the only nightclub in Tagbilaran, specializing in dance hits. Visiting DJs play here when they visit the city. The club is small though, with only a maximum capacity of 100 persons. El Portal Inn, 56 Belderol Street, Cogon (Beside Plaza Marcela), ☎ +63 38 411-2124, fax: +63 38 411-3579. Check-in: 2PM, check-out: noon. Located just outside the city center, but still very accessible. From ₱800 a night. Ellens Bed and Bath, CPG avenue, ☎ +63 38 501-9341. Single fan shared bath. A/C single shared bath cable TV. A/C double shared bath cable TV. A/C double with own bath, cable TV. All bathrooms have hot water. Free Wi-Fi. from ₱350. LTS Lodge, Carlos P garcia Avenue., ☎ +63 38 4113310. Single fan rooms with common bathrooms. A/C double rooms with common bathrooms. A/C double room with own bathroom and cable TV. ₱350/₱600/₱800. Marbella Leisure Hostel, C. Gallares Street, Poblacion II (Across from Holy Name University), ☎ +63 38 412-2966. Located very close to Plaza Rizal, this hostel is run by the Metrocentre Hotel and Convention Center. From ₱800 a night. Marcelina's Guest House, 53 Lamdagan Street, Booy (near the intersection with Benigno Aquino, Jr. Avenue and Airport Road), ☎ +63 38 412-4169. Check-in: 1PM, check-out: noon. The closest hotel to the airport, this guest house has air-conditioned rooms with communal bathrooms. There is also a common mini-kitchen with a refrigerator and cooking/dining facilities. From ₱800 a night. Nisa Traveller's Hotel, 14 Carlos P. Garcia Avenue, Poblacion II, ☎ +63 38 411-3731, +63 932 518-2755. Check-in: 13.00, check-out: noon. Although located close to Plaza Rizal, some of its rooms are windowless, and others may have a hospital-like feel. However, breakfast is included in the room price, and there is free Wi-Fi in the lounge area. Most of the rooms have a common bath. from ₱500/₱600 single/double. Taver's Pension House, Remolador Street Extension, Poblacion II, ☎ +63 38 411-4896, fax: +63 38 412-4790. Check-in: 2PM, check-out: noon. Clean, private rooms in the city center, with very friendly staff. All rooms have en suite bathrooms, and Wi-Fi is available in common areas. ₱750/₱920 (single/double). Uptown Lodge., M H Del Pilat Street (Behide Alturas Mall), ☎ +63 38-2353166. A/C single rooms with common bath. A/C double rooms with own bath. Probably the cheapest A/C rooms in town. ₱400/₱500. Villa Camilla Pension House, Ma Clara Street. (same street as the Port. ), ☎ +63 38 4114966. Check-in: noon, check-out: noon. fan single and double rooms with outside bathrooms. From ₱350 per night. Dao Diamond Hotel and Restaurant, Km 3, Jose A. Clarin Street, Dao, ☎ +63 38 411-5568. Check-in: 14:00, check-out: 12:00. This hotel is owned and operated by the Philippine chapter of the International Deaf Education Association (IDEA), and profits generated by the hotel pay for the education of 400 deaf children in Bohol and Leyte. The hotel offers sign language classes and runs a night shuttle (₱15) to the city center. ₱1400. Darunday Manor, 22 Jose A. Clarin Street, Poblacion III, ☎ +63 38 411-2512. Check-in: 14:00, check-out: 12:00. Located very close to Plaza Rizal, it has nine air-conditioned rooms, each with solar-heated showers and baths. ₱1300. Le Pensione de San Jose and Restaurant, San Jose Street, Cogon (Beside Cogon Elementary School), ☎ +63 38 411-2572. Close to Plaza Marcela, this hotel has a jazz bar on the ground floor. ₱700/₱1000 (single/double). Panda Tea Garden Suites, Jose A. Clarin Street, Dao (Across from the National Irrigation Administration building), ☎ +63 38 501-6773. The closest hotel to the Island City Mall, it has its own restaurant, a keyboard for public use in the lobby, and telephones in all rooms. ₱850/₱1250 (single/double). Soledad Suites, J.C. Borja St. cor M. Parras St., ☎ +63 38 411-3074. Vest Pension House, Tamblot Ext., ☎ +63 38 501-8079. Bohol Tropics Resort, Graham Avenue, Cogon (North of the Tagbilaran City Tourist Pier), ☎ +63 38 411-3510, fax: +63 38 411-3019. Located along the shores of Tagbilaran Bay, it has several amenities which are normally found only in the resorts of Panglao Island. A popular local nightclub called Laser Party Club is also located here. ₱2350. Metrocentre Hotel and Convention Center, Carlos P. Garcia Avenue, Poblacion II, ☎ +63 38 411-5878. Check-in: 2:30PM, check-out: noon. The only full-service hotel in the city center, it has a total of 72 rooms, including a presidential suite. It has a swimming pool, two restaurants and one of the city's two nightclubs, Club Atmosphere, as well as convention facilities. ₱1940. Gov Celestini Gallares Memorial Medical Center. M Parras Street. Phone 38-4113181. Bureau Of Immigration Tagbilaran Office. 2nd floor. Sarabia Co Torralba Bldg. CPG Avenue. phone 038-2356084. The area code of Tagbilaran, like the rest of Bohol, is 38. Area codes are not required for calls made within the entire province of Bohol. The three main mobile service providers in the Philippines: Smart Communications, Globe Telecom and Sun Cellular, have good (though sometimes spotty) coverage throughout Tagbilaran, and all three providers operate both 2G and 3G networks throughout the city. SIM cards are sold at convenience stores throughout the city, at mobile phone stores located in the city center (especially within Tagbilaran City Square), and by touts located along Carlos P. Garcia Avenue. All three providers also have offices in the city: Globe Telecom and Sun Cellular have their local offices at the Island City Mall, while Smart Communications has its office at the Ambassador Arcade on B. Inting Street, in the city center. Unlike mobile phones, however, payphones are hard to find in Tagbilaran, though there are a few in the city center. Some convenience stores though offer use of their telephones for a small fee, often ₱5 for a three-minute local call. There are Internet cafés scattered throughout Tagbilaran, serving both casual Internet surfers and online gamers. Use of a computer at an Internet café typically costs around ₱15-20 per hour. The cafés often offer additional services as well, such as printing documents, but most cafés close at night. While there are Wi-Fi hotspots in the city, significant coverage is mostly limited to the city center. Many places that do offer Wi-Fi lock their networks and only provide access to paying customers. Most of the hotels and inns throughout the city normally offer free Wi-Fi to their guests, though sometimes coverage is limited to common areas. McDonald's in Bohol Quality Mall (access daily 07:00-11:00 and 13:00-17:00 ). Password available upon request and no purchase required. Gelataria at Bohol Quality Mall (access: mall hours). Password available upon request with purchase. Dunkin' Donuts near Rizal Park, CPG (access: store hours). Password typed on device upon request with purchase. Dunkin' Donuts in Island City Mall (access: mall hours). Password typed on device upon request with purchase. Bo's Coffee Club near Rizal Park, CPG (access: store hours). Daily altered password stub available upon request with purchase. Bo's Coffee Club in Island City Mall (access: mall hours). Password typed on device upon request with purchase. Brewpoint Coffee Club at Soledad Suites (access: store hours). Daily altered password stub available upon request with purchase. The rest of Bohol awaits visitors to Tagbilaran, with many parts of the province reasonably accessible from the city. Panglao Island, home of the famous white sands of Alona Beach, the underground springs of Hinagdanan Cave, and stately old churches and buildings dotting the island, is immediately south of the city. Both the older Butalid Causeway, located in the city center, and the newer Borja Bridge to the east in Booy, connect Tagbilaran to Panglao. The neighboring town of Baclayon is known for both its stately old church and its many old Spanish houses. The world's largest python in captivity, Prony, is kept in a sanctuary in Barangay Laya, close to the border with Alburquerque, and Pamilacan Island, with its white sand beaches and old Spanish-era watchtower, is a short boat ride away. Loboc, 24 km east of Tagbilaran, has long been considered the center of Boholano Christianity, and the town church (and the adjoining Museo de Loboc) are its major landmarks. The world-famous Loboc Children's Choir is based here, performing every Sunday during Mass. Lunchtime river cruises along the Loboc River are also a favorite activity among visitors. Dumaguete - the University city of Gentle People with its popular Rizal Boulevard for evening promenades and opportunities for Whale and Dolphin watching, just a fast boat ride away! This city travel guide to Tagbilaran has guide status. It has a variety of good, quality information including hotels, restaurants, attractions and travel details. Please contribute and help us make it a star!